I think perhaps my photo taken on the way to the airport this morning sums up today pretty well. An empty road with a whole bunch of speed bumps. I’m afraid that’s what today felt like. It’s kinda weird starting off a conference without hearing the keynote to set the tone. Even with SAP conferences like TechEd we have “pre-conference” days – thanks ASUG! But today was part of the conference, and it didn’t really feel like it. An example of the bumpy road was having a session today on the new support model for SuccessFactors, but without mentioning the SFXpert program. It was kinda weird – but apparently Mike Ettling will talk about that in the keynote tomorrow, it’s a little confusing. Moreover, there weren’t an awful lot of people here. Which in someways is pretty good, it means that we’re able to have comfortable conversations, no running around with microphones to ask questions. But it certainly seems that running a SuccessConnect in Singapore may have reduced the number of Sydney attendees. I’m not sure, perhaps tomorrow will bring more people? It was a big ask to get people to come for a whole day for 3 sessions. Would love to know where we’re at with that total – hopefully we’ve got above a few thousand dollars by now. This entry was posted in cloud, HR and tagged SaaS, SAP, SuccessConnect, SuccessFactors on October 6, 2015 by Chris. I thought I’d add a link to the presentation that I gave at SAUG Summit this week. Seemed to be well received. This entry was posted in cloud, HR and tagged HANA Cloud, hcp, SAP, SuccessFactors on August 21, 2015 by Chris. Which weren’t particularly related to themes I normally post on, but nevertheless probably tell you something, I’ll leave this as an exercise to the reader to speculate on what. So whilst I’m nice and relaxed after a nice shower and looking forward to heading home, I thought I’d capture a couple of things that happened whilst I was at SuccessConnect this week, and hopefully this will also remind me to expand on them at a later time. 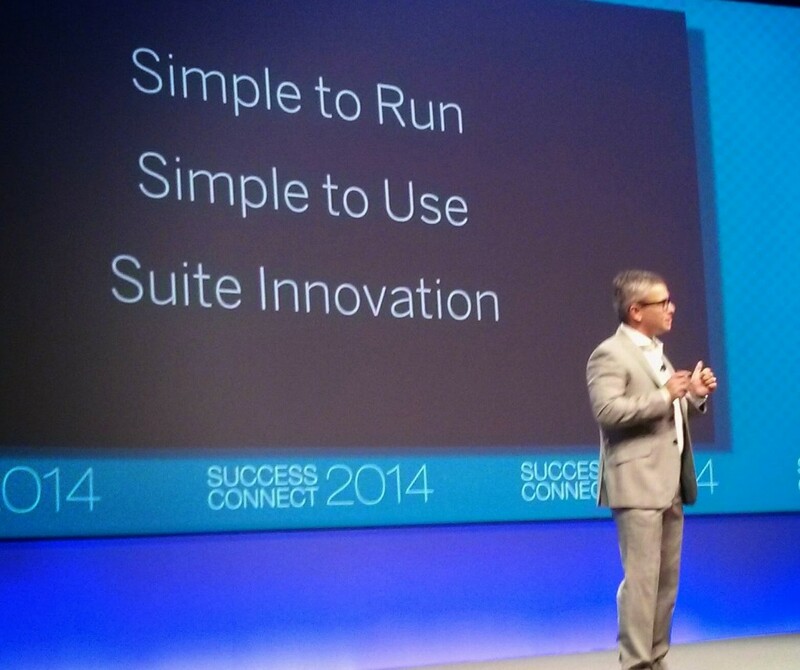 The commitment by SuccessFactors to publish a roadmap to customers is a big win. And It’s not just a win for customers. As a partner it’s much easier to advise a customer when you have a good understanding of what _might_ happen in the near future. By making as much of the solution as possible accessible by the upgrade centre rather than provisioning (an ongoing effort) it removes from customers the need to engage an SI partner for what may well be just an administrative task. Allowing customers to attend the same training that partners can attend is also a great thing – so now there is a real possibility that customers can do some of their support in-house. Why, you might ask, am I cheering this as a good thing? I am one of those partners who previously customers had to rely on to make these changes. Well, it’s really because I don’t like doing boring stuff. If as an SI all the work I do is very simple, then customers can be a little resentful for paying me as much as I would like to be paid. I see this as an opportunity to get rid of the boring work and instead focus on bringing real value through expertise. We shall see, but I’m hopeful that this is the path SAP envisages as well. With Rob Enslin opening the conference, I got a real feeling of SAP being a full part of the conference, and not it being a SuccessFactors as a separate company anymore. That said, all the “Cloud DNA” was still there and it was interesting to see Lars make a guest appearance. The reaction from the SuccessFactors staff to seeing Lars was remarkable, it was all a surprise, and a nice one for most. However, Fiori making itself felt in the UI development pipeline amongst other “Simple” things shows that the “DNA” exchange isn’t just one way. The public announcement of a phase released of functionality, with updates being released a month earlier on the test instances of a customer is great news. This will help extension developers hugely (although ideally I’d like access to the update another few weeks before the customers get it in their test systems, but can work with this idea!) Customers too have the ability to check out any mandatory (although there are few of those) updates before they get deployed. All in all a great step forward to helping customers manage their solutions – and the spontaneous applause from the audience when it was mentioned shows it’s not just me as a developer that appreciates this. Righto, that will do for now, Mike Ettling’s flight to Sydney has already left, and mine to Melbourne is going soon. I’ll be catching up with him and the team again for the Sydney version of SuccessConnect, but I’m so glad that I was here this week in Las Vegas, it has been great. This entry was posted in HR and tagged Extensions, Fiori, SAP, SuccessFactors on September 13, 2014 by Chris. I was very interested to read some links that Naomi Bloom posted about how Workday have moved to a continuous integration deployment model rather than a phased release. As developer, I love the idea of continuous integration, having a set of tests that can automatically check whether the code I have built will cause an issue in production and then allow me to move it up to prod immediately. It fits with TDD and all the other cool things I want to do. Awesome! If I were writing code in the internal development teams of Workday or SuccessFactors, I’d want the software to be CI. However! As a developer of extensions to one of those platforms, I couldn’t think of a worse option! If you look at the “disadvantages” section in the linked Wikipedia article on CI, you’ll notice that one very important thing is to have lots of good automatic test scripts. The problem is, a vendor can only possibly run their own test scripts, they can’t run mine. (Perhaps they could run mine if such an API was built, but could they justify not deploying to prod because a little used partner extension failed a script?) So what if some change that the vendor does breaks a behaviour in my code? Well, that’s bad for me. I’d better hurry up and fix it, because all my customers are now with broken code, and the first I found out about it – when it broke. And likely I’m not going to find out until I have one of my customers complain – unless I have proactively set my test scripts to run every hour and send me a message when something breaks, in which case I’d better be ready to do emergency support 24/7. Yeah, just what I want. NOT! This would be a huge burden on a extension provider, you wouldn’t have a stable platform to build on. With SuccessFactors being on a phased release rather than continuously integrated to production, it is much easier for me to join in with the testing of my solution before it hits the market. I know that my customers aren’t going to get a nasty shock because something suddenly breaks/changes behaviour, because I have a window to test that before it impacts them. I also know when that window is going to be, so I can plan around it and allocate my resources. Whilst the solution might be wonderfully cloudy and elastic, my skilled pool of extension developers is definitely less cloudy and more finite and fixed. Now it might be possible to allow partners to have an early access box, and perhaps delay CI deploys to production by a week or so to allow partners to test their code. But that is one hell of an effort that you’re demanding of your partners to do that. And as one of those potential partners, I can say I’d be thinking very long and hard about the risk you as the vendor are putting me at, and probably would decide not to go there. I think, that in a world where purchasing 3rd party add-ons for your cloud platform will become the norm (allow me my dreams please). And where the power of the platform is driven by these add-ons/apps, having a phased release makes sense. How cool would an iPhone be without any apps from the AppStore, how good would an S5 be without apps from Google Play? They are both great devices, but they are awesome when enhanced by external developer partners. These mobile solutions have phased releases. It’s not because they couldn’t have constant updates, the tech is easily there for that to happen, but because in order to sustain the applications/application developers that make them so cool they need to provide a stable platform. I’m really glad that SuccessFactors provides a stable environment for me to build on, as I am convinced that HCM SaaS has a huge potential to be enhanced and extended to the better use and consumption of businesses. It’s a real strength of the solution, and I am very happy to be play a part this story, and that SAP and SuccessFactors are carefully considering the needs of the development partner in this scenario. All that said, it would be cool to be developing in a continuous integration solution, but just not for the partners building on your solution. This entry was posted in cloud, Coding and tagged Developer, Extensions, HANA Cloud, SAP, SuccessFactors, twitter on August 9, 2014 by Chris. And of course I’m all worked up. Why? Two reasons. Standardized and defined processes used to communicate job expectations to employees, evaluate employees against those expectations, and utilize these evaluations to guide talent management decisions related to compensation, staffing and development. This has nothing to do with motivating and improving employees. It’s all about figuring out what is the smallest amount you can get away with paying your staff. A process that can actually help employees improve is by working with them to find out their interests, find out what they want to do and shape their work around that. This isn’t the world of Gen-X and Boomers any more. People are far more interested in making work part of their life and life part of their work. Will they do that if there is a regimented process that is going to measure them against the cookie cutter mould? No, they won’t. Because no employee is exactly alike and no employer that wants to get the best out of their employees is going to manage that by trying to shape an employee to the employers expectation. We need instead to understand the great whole of the employee’s values and use that to motivate them. An employee that is doing what they feel is valuable and feels that the company supports them in this is far more likely to perform well than one that does not. We have the tools (in a creepy big brother kinda way) to be able to analyse far more than just our employee’s achievement of our stated corporate goals, but also the interests, engagements, networks and influences of our employees. By better understanding our employees, and then aligning our business goals with their goals, we stand so much more chance of motivating and retaining talent. Remunerate at the market rate for the skills that the employee possesses, if they gain more skills then pay more. Or if those skills have nothing to do with your business, don’t try and hold on to someone who would be happier elsewhere. Likewise, if the desires of the employee do not align with your corporate goals, don’t attempt to force the employee to comply, you are both better off without each other. Have the frank discussion that their desires and your goals don’t align at all. If their goal is to sit and eat chocolate and drink coffee all day and you don’t have a coffee and chocolate tasting role in your company, then it’s probably not going to work out. But it is good to know this – it’s time to move this employee on. Not because they don’t do what they are supposed to do, but because they have no desire to be doing it. Be frank, you can’t get rid of them if they are doing a reasonable job, but they will never be stellar unless _they_ want to do the work. Now, I’m sure that this approach isn’t going to work in many, if not most, industries. If you have a load of jobs that people will only do if they are paid enough to suffer through, then this approach will not work. In this case fall back on Steve’s approach, just realise you’re very unlikely to develop or retain any talent. However, if you are in an industry where people (or at least some of them) work because they love doing the work and are enthused about being the best, then I think my approach has some real advantages. Of course you will get and hire bad apples. This is where I believe performance management comes in. You now attempt to manage that person out of the company and ensure that you are not at legal risk by following a clear process. I’m sure there are risks in only performance managing those you’d rather have leave the company, but there are certainly rewards too. And now to my second point of why I’m unhappy with this article. 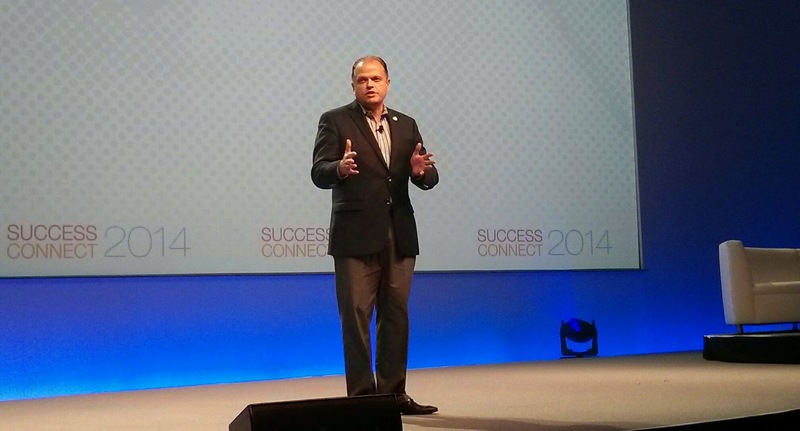 It was written by someone with the job title Senior Vice President of Customer Value at SuccessFactors/SAP Cloud HCM. If this is what SuccessFactors believes will drive more customer value, then I’m very worried that innovative and alternative approaches to making talent management work are not likely to get a great reception. I strongly agree with Steve that we need to find out and measure how well our people are doing, but that does not need to be against a defined set of company goals, but against an slightly less well defined set of individual personal goals that the company can hopefully align with and benefit from. I believe that the next step for talent management solutions like SuccessFactors is to help employers with the analysis of who their employees are and what they want. Then use that information to help align both the business’s needs and the employee’s desires. It’s a huge technical challenge but we have to start somewhere. By at least acknowledging that there might be better ways of doing things rather than just dismissing them, we’d be making a first step in the right direction. Companies that start to embrace the holistic view of the employee rather than the company centric one will, I believe, start to reap the rewards. I could well be just dreaming, but at least I’ll be dreaming with some of the most motivated and enthusiastic people around who are all trying to achieve their goals in my company. This entry was posted in HR and tagged Performance Management, rant, SuccessFactors, twitter on August 6, 2014 by Chris. 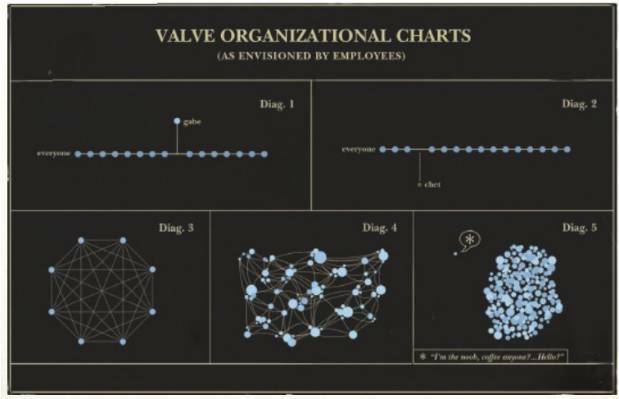 Organisational Charts, is there a better way forward? 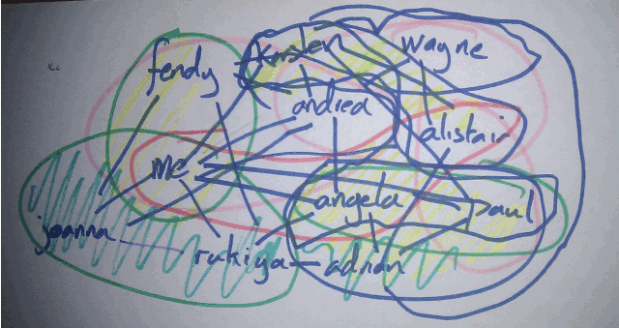 What does your company’s organisational chart look like? b) a bowl of spaghetti? I’ve been trying out the SuccessFactors Professional Edition (SMB market) software recently (and no, this is not a review of it, that’s coming later (maybe).) It gave me a moment’s pause to think. Does the organisational structure at my company actually resemble a tree (an upside down one I guess) at all? The SuccessFactors software has a great organisational structure visualisation tool (far nicer than the Nakisa one IMNSHO), but it’s all about visualising a traditional hierarchical organisational structure. At the same time I was thinking about this, I happened to read the supposed “Valve Handbook for New Employees“. On page 4 (I’ve included the link, if you haven’t read it, I can recommend it, fascinating stuff and far more than just the bit I’m talking about here) it describes the structure of the organisation. Like Valve, I don’t see the organisation that I work for being particularly militaristic. I grew up as an “army brat” and therefore have a very healthy (in my eyes) disregard for any kind of imposed authority. Someone telling me that I must do something in a certain way, is almost a guarantee that I’ll try to find a different way of doing it. I try to treat the people I work with like I would like to be treated. Telling someone to do something is pointless, explaining to them why they should do something – that’s more like it. I’ll digress from my main point here for a little bit, because a random memory has just sparked, and it’s sort of relevant. When I was a new grad starting out in the big wide world of SAP HR consulting all those years ago, my boss at the time hauled me out of the clients where I was shadowing and learning, and into the office. For one week I helped the office admin team file expense reports, collate time sheets and put together invoices After that, although I may never have been the best at getting my expenses in on time, when they did get in, they were very clearly and neatly arranged. Why? because I had learnt that doing so was a simple task for me, but made the life of the admin person so much easier. Because someone had taken the time to show me why I should do something in a certain manner, I was very happy to do it. I’ll put my hand up right now and admit that Discovery is not an entertainment company, despite it sometimes being very entertaining to work here, yet I’ll completely agree with the sentiment of it being an absolute innovation killer to tell people exactly what they must and must not do. To me to provide the sort of environment that people are going to thrive in means everyone having a say and everyone moving forward. Such a dynamic (yes my description and substitute whatever smanky term you want to use instead) way of doing things cannot, I believe, have a non-dynamic organisational backbone. My point is, that as a small company, we just don’t fit into the traditional hierarchical organisational structure. And to follow on from the point made by Valve, I don’t think it is in the best interests of our organisation or staff that we do. Another digression (sorry) even evolution (Darwin’s tree of life) isn’t consider a tree these days, it has been recognised that due to the transfer of genetic information from and through viruses and bacteria there is an awful lot of our genome that doesn’t come from our direct ancestors, but from other species. It’s called horizontal gene transfer (HGT) and has been found to play a major role in forming species. To use this analogously, I should suggest that who you are working with, who influences you and who you influence are more important to who you are than the person that you supposedly report to. Now I don’t think that either Discovery or Valve (or Dawin’s web(?) of life) are unique in this. I think the days of the hierarchy are numbered, and what is more, we are inventing and deploying the tools right now that will be its undoing. Enterprise social networking, whether using tools like Jam, Streamwork, Yammer, Google+ (we use this a LOT internally, it’s free, simple and powerful!) or even going more external with tools like Twitter, LinkedIn, and, so help you, Facebook is clearly in vogue. It should be a simple matter to leverage these tools (along with email ) to find out who is talking to who. From this we would have a clearer picture of who is talking to who, how often and in what formats. We could use this data to help us consult the right people. We already do this in many ways, but imagine having a system that could help us. In the same sort of way that GMail prompts you to include certain people in an email based on your past emails but that would also check the content of your message (I know this sound horrendous to some of you, but I’m just imagining stuff here, not planning for an actual solution, bear with me). The possibilities of how we could capture and utilise the connections between our employees to add value to the business are only just starting to be explored. I’d push the analogy that I’m trying to make so far as to say that communities of interest are the new org units of enterprise. Although you might not send a leave request to be approved by your local ketchup appreciation group (I used to read the USENET alt.ketchup group at uni for a laugh, how the world has changed! I can’t even find a link to it now.) You are more likely to check that your vacation isn’t going to leave the project teams you are working with in the lurch, rather than checking with the team with whom you are theoretically assigned but haven’t worked with for the last 6 months. When it comes to handling career goal planning, I think that we need to be encouraging everyone to be part of the process. (I happen to agree with Prof. Culbert about the usefulness of performance reviews, but strongly believe that goal setting is a great way to understand how to get to the next level, in a positive way.) 360 type reviews (where we reference and review with the people we are working with, rather than an arbitary “manager”) of the goals that we are setting allow ourselves allows us to help ourselves and our teams understand where are heading, without the soul-sucking negativity associated with most performance reviews. For such a distributed process, there is no benefit to a rigid structure where person A conducts the review for person B, C and D. Again I see great potential in the use of social communication tools to share and organise and optimise these processes. So back to my original musing, what does my organisation look like? I don’t think I know yet, but I think it’s going to be fluid. If I want to be part of a successful innovative company (and who doesn’t) I think it need to be able to change shape depending on how and why I’m looking. And my view of the organisation should be able to change that shape without me needing spend days of constant restructuring. Returning to my thoughts about the SuccessFactors Professional Edition product and its use of strict hierarchical structures. I don’t think that these do fit with how many SMB companies are choosing to operate today. Yet, I can see how a SaaS solution that is planning to integrate “social” into everything they do (one of the strong messages from SuccessConnect) will possibly get me there a lot quicker than an onPremise solution will. I hope that by posting this up people will read this and start to think about how we can start to leverage the tooling that SAP is providing to be more creative, dynamic and successful. SuccessFactors people, you have a real opportunity to create something in this space, please let’s build something awesome. As per always, these are my own personal views, and do not necessarily represent those of the company I work for. I purposely take a line which is at times controversial and contrary to many people’s beliefs. I don’t think I’m correct, it’s just that no-one has convinced me otherwise yet. This blog was originally published at http://scn.sap.com/community/erp/hcm/blog/2012/07/09/my-organisation-looks-like but I thought it really ought to be here too. Partly inspired by Vijay’s blog about talent being unmanageable, and my thoughts on what does that mean about talent being managers. What I’d want to point out is that I see a future coming where out HRIS system may mean the end of people managers as we know then – thus solving the conundrum of how do we manage talent and/or should talent be managers. This entry was posted in blue sky, HR and tagged blue sky, HANA Cloud, predictions, SAP, SuccessFactors on September 2, 2013 by Chris. As many of you who might read this know, I like social media. I spend a reasonable amount of my spare time following and trying to keep up with the information that is available about SAP, cloud and HCM topics. Many of these social media discussions (a majority I’d suggest) take place over twitter. Now recently I’ve found a few tweets that have really got me irritated. But before I explain what got my back up, it’s probably worth pointing out that there is a simple option for me, and it’s put the phone/tablet down and walk away. This really isn’t that serious! Secondly, don’t ask me to name names, I won’t and I don’t think it’s helpful anyway, and I’ll get to why not later. I’ve seen two types of behaviour that I’ve disliked. Firstly has been where people have been using social media as a tool to strike up a conversation. But rather than continuing with the conversation, just make a couple of snide remarks and tried to spark up a fire. In some cases these have been extreme storm in the teapot scenarios, where some information misunderstood, or not at all researched or understood has been used to derive wild scenarios that are great link-bait but do not actually help drive the conversation forward. Conversations are two-sided, if you refuse to engage in a manner that engenders discussion then you don’t have a conversation, you have a battle. In battles the only people that win are the arms manufacturers. The second type of behaviour is where people represent themselves as “individuals” but start broadcasting what can only be described as advertisements for the products that the company that they work for sells. Now this is a fine line as you’d expect people to be interested in and excited about the products that they company that they work for sells. But when it is done across a whole group of employees and sometimes with a common message/format then it really starts to smell bad. Even worse when people start tweeting info and then add link to some sales website or their company twitter handle when the content of the tweet isn’t about that! It’s like they are branding their tweets! But when they then refuse to engage on the marketing type tweets to clarify details (possibly because some of the marketing bs is actual bs?) it gets really irritating. Well my real issue is that the response I want to give the tweets of the second type would just make me an asinine tweeter of the first type. Keeping it real and respecting myself involves not walking either of these two paths. And that’s tricky. Not to mention frustrating! This is why I don’t what to name, it’s just behaving like a spoilt brat and isn’t doing anyone any favours. Don’t be evil! Seriously, don’t take yourself too seriously. Photo was taken at my son’s 1st birthday party. This entry was posted in Random and tagged beyond SAP, blog, rant, SAP, SuccessFactors, twitter on May 24, 2013 by Chris. Today I was lucky enough to attend a SAP Mentors web meeting where someone from SAP (I’m not sure if they want to be named so I’ll leave them their anonymity) presented about building your own brand. It was an excellent session, but probably raised more questions for me than gave me answers. I am lucky enough to be in a position where I directly influence how the company I work for is run. As such I would like to think that internally we do not (yet) have the need for employees to need to raise their own profile in order to get noticed and rewarded. If we end up in that space, we should probably start looking at our talent management processes as a matter of urgency. And if that comes to pass, I will be doing just that. (Hopefully by then using something like SuccessFactors will be a possibility for small to medium businesses beyond what the current Professional Edition offers). However, perhaps self promotion is needed whatever size your company? Even if there are just two of you! I’ll discount the single person companies, if you don’t know what you’re doing yourself you’re in trouble! Whatever size you are unless you effectively communicate what you are doing to the others in your company, you are doing yourself (and the company) a disservice. But is effective communication about what you’re doing the same as self promotion? I’d guess, Yes and No. I think there is a fair bit more to self branding – which is why I started writing this blog outside of the SCN space. But I think it’s important not to confuse that with ensuring your company has effective talent management processes and encourages communication. Anyway, better do some work. This entry was posted in HR, Random and tagged blog, SAP, SCN, SuccessFactors, Talent on April 16, 2013 by Chris. I completely forgot something in my BS post yesterday! As I told the SuccessFactors team when I met with them in Las Vegas last year, “So when are you announcing the purchase of a time entry suite?”. So my prediction: SAP or someone else will, before the end of the year (2013) build out a simple time sheet entry and approval process that connects to the SAP cloud payroll system to allow time entries to be processed within the cloud based SAP payroll engine. My guess is that Employee Central will be extended to store this information as part of the solution to allow for reporting on it. 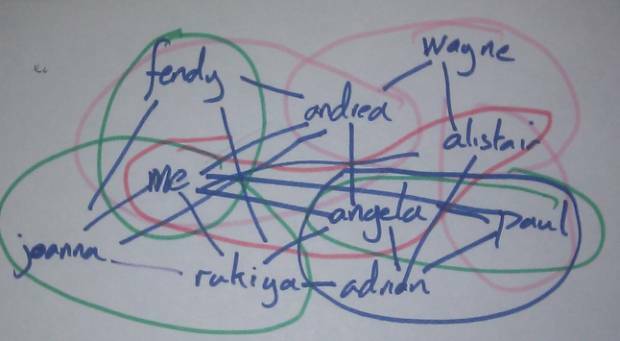 In the first iteration the solution will not be tightly integrated to Employee Central. By mid 2014 I’d guess that administrator and employee entry screens will be part of EC with a set of mobile applications (provided free of charge) to enable time data entry and approval. The final icing on the cake will be an iFlow which takes that information back into any onPremise or Cloud Finance system for use in billing/project costing and whatever else you might want to use CATS data for. Please note, that although I have chatted to the SuccessFactors teams about these dreams of mine, I’ve not been given any official feedback that they might or might not be a reality! So these are still safely in the realms of predictions that I’m going to be totally wrong about! I wonder which prediction I’ll be proved wrong about first! This entry was posted in cloud and tagged blue sky, cloud, HANA Cloud, predictions, SuccessFactors, time management on April 9, 2013 by Chris. So I thought that rather than just let those words vanish into the air, I’d instead write them down so that sometime in the future someone would have the possibility to point out how wrong I was with absolute certainty. I am a strong believer that companies have, and will continue to have a need to build system based processes that are different from company to company. The idea that they will all adopt the same solution because it is “best practice” and the cheapest to use and manage is, to me, very unlikely. Companies will continue to change, vary and improve those processes that they believe bring special value to their business. In many businesses (but certainly not all) I believe that the area that they will need to innovate on is “people”. As repeated by Mark Souter at the recent Mastering SAP HR & Payroll conference and potentially originally by Eddie Barrett from Deloitte (I can’t find any earlier references than 2008!) “The war for talent is over, talent won.” Companies that don’t innovate above and beyond the offerings that SaaS providers give them will lose a competitive edge. Right now, I’d say that adopting a “vanilla” SaaS HR product (especially one that is currently rated as “market leader” – if you haven’t seen the tweets or don’t get the references then the SuccessFactors team not been doing its job properly 😉 ) would probably give most companies an edge over their competitors, but this will not endure long term. The thing that has made SAP so well loved by enterprise, has been its ability to allow for enhancement to the vanilla “best of breed” model. Now we all know of cases where the addition to the vanilla was more cod-liver oil than raspberry jam flavoured and the resulting mess has been a support nightmare, but this is not always the case. Cloud SaaS solutions will naturally evolve (as they aim to replace the on premise models that we have been so used to using and enhancing) such that we will be able to write our own business logic into them. In many cases this will be more configuration than code. And I’m sure that we will see much more care taken with the underlying core of the solution so that it can’t be broken as badly as many on premise solutions have. (After all, one hopes that we’ve learnt something from all these years of wasted effort.) But unless the cloud solutions offered by SAP allow for enhancement, then someone else will build cloud solutions that can be enhanced (natively) and SAP will be either forced to purchase them or lose the enterprise market. I see SAP HANA Cloud PaaS as the first real step on this journey of SAP SaaS enhancement. I’m fully onboard this train, and I see it accelerating pretty darn quickly. Running a hosted legacy enterprise solution and offering it as “cloud” is pandering to the uneducated or at best a stop-gap solution. Current batch process based time and payroll processing is an anachronism and will be replaced. If SAP aren’t busy building a HANA based payroll with a skunkworks team somewhere, someone else ought to. (If anyone reading this wants me to help form such a team…) With the power of HANA to close to instantly calculate the impacts of any change in circumstances of an employee and resolve their payments for the next n-years, there should be no need for a “pay-run”. Pay would already have been run! Payroll processing would instead be a consolidation/audit process where data entry was checked and variations explained (part of current processing) but the bit where the system was offline for hours to enable the processing would no longer be required. No-SQL has offered this tantalising possibility several years earlier, but the idea of having an eventually consistent payroll by using a map-reduce type approach would have been enough to make most auditors suffer cardiac arrest (much as both ideas might be appealing, you can see why this hasn’t been adopted.) With HANA offering a fully consistent SQL model and the possibility of near real-time evaluation of results there is a new option. Add into this mix the ability to scale up to a cloud sized resources with the ability to elastically scale as demand requires and the possibilities start adding up. Imaging being able to model people movements in your enterprise and have the exact dollar amounts that this would mean. Rostering optimisation would become much less of an art and much more of science. The space that SAP ceded to third party time management and rostering solutions (such as workbrain) would be ripe for competition, if the payroll and time management functions that currently are batch based became either on-change calculated or close to real-time available. SAP’s current payroll system is “world-class” I don’t think anything else can do payroll in so many countries. (At least this is what I’ve been told and I haven’t seen convincing arguments otherwise.) But it is based on an architecture that was designed for systems that had less computing power than the desktop computer that I’m writing this blog on (sorry not using my tablet today 😉 ). If SAP want to retain their world class ranking then they need to innovate and rebuild. I’m pretty sure that there is a little team at the very least throwing ideas around on how to achieve that. I predict that by 2017 we will see a HANA based cloud payroll and time management solution(whether built by SAP or a partner, I’m not sure) that will put the current SAP on premise based solutions to shame. Cloud ERP – same, same but different. With the possibility to “enhance” the cloud, will come the wider desire for ERPs to be fully cloud based. 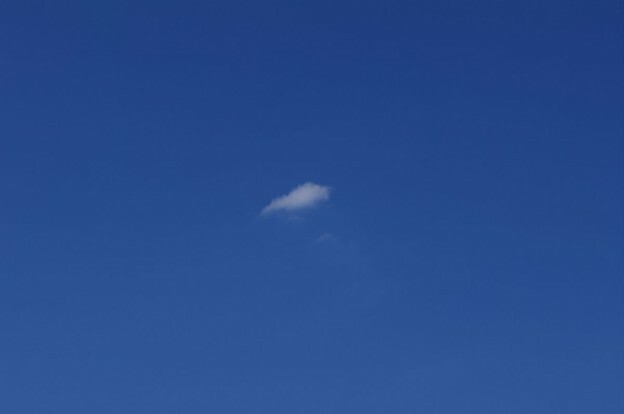 It doesn’t make sense for any organisation to have to worry about IT infrastructure when cloud offerings are available. I’m just waiting for an analytics firm to write some software which figures out which organisations are still using their own email servers and then starts discounting their share values due to their inherent technical stagnation. (Am I being too harsh here? I’m not sure.) I predict that a HANA based cloud ERP solution will be available for SAP customers by 2020 which will have more functionality than the on-premise solution. In the run up to this, each LOB solution will have a SAP HANA cloud based solution built or purchased and adapted that offers as much functionality as the current on premise model. The work will be in the integration of all the LOB cloud solutions so that they can work as a cohesive ERP. Now, I’ve heard some fairly vocal people argue that having a good object based data model that allows for easy cross-component use is essential for any to-be successful SaaS solution. I disagree. It’s how it works for the end user that counts. And the thing is, no matter how beautifully you design your solution, there is always going to be someone that build a little part of it better. If you can’t purchase/partner with that amazing start-up and bring them into your system, well, someone else will. A couple of amazing start-ups later and the most amazing system (from the end user point of view, which is the only one that counts) isn’t the beautifully designed one, it’s the one that can bring all the best bits together, no matter who built them or how they built them or what data model they used. Blue Sky thinking – starts with BS. I may be completely wrong with my thoughts. I’ve never considered myself to be a futurist – sounds far too wanky for me. So I’m certainly not very scientific about how I’ve formulated these ideas. But I do think we are on the point where the enterprise software market is turning. And it’s turning towards the cloud. Or these thoughts could be just a load of wishful BS. This entry was posted in cloud and tagged blue sky, cloud, HANA, HANA Cloud, PaaS, Payroll, predictions, SAP, SuccessFactors on April 8, 2013 by Chris.